Seamless integration with the QA Direct database gives access to over 600,000 financial assets, facilitates fast model prototyping, and empowers the portfolio manager to backtest strategies in a fraction of the time that it used to take. What makes QA Studio powerful? 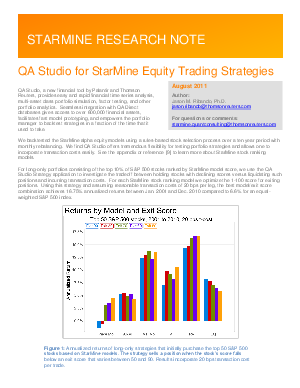 Read this white paper to learn more about using QA Studio to test portfolio strategies and incorporate transaction costs.